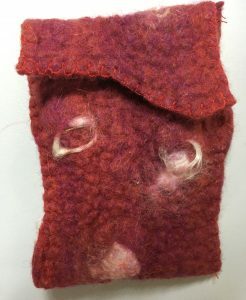 Home Textiles Archive by category "Felting"
I love this needle felted piece by Julie. 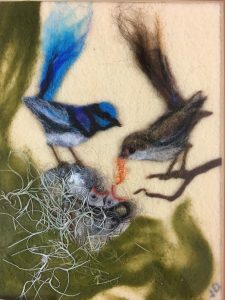 The mother bird is feeding her babies in the nest whilst the father keeps watch. 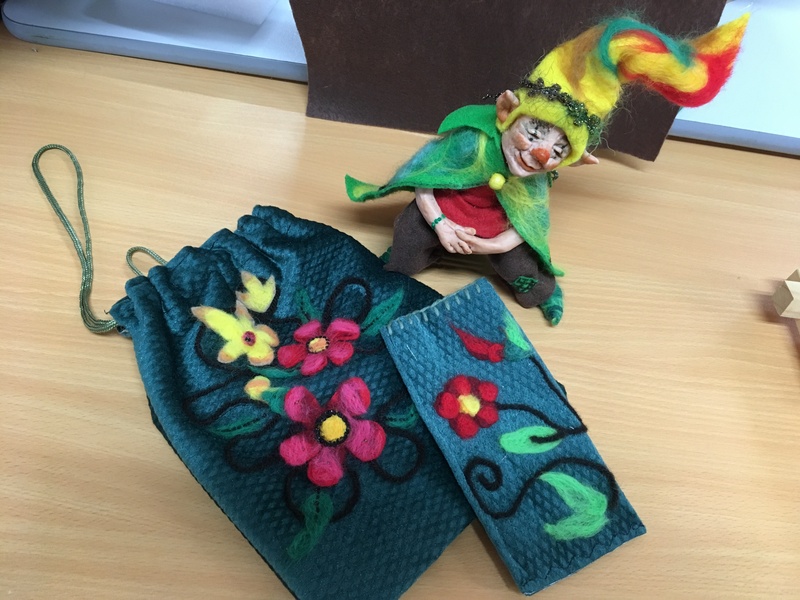 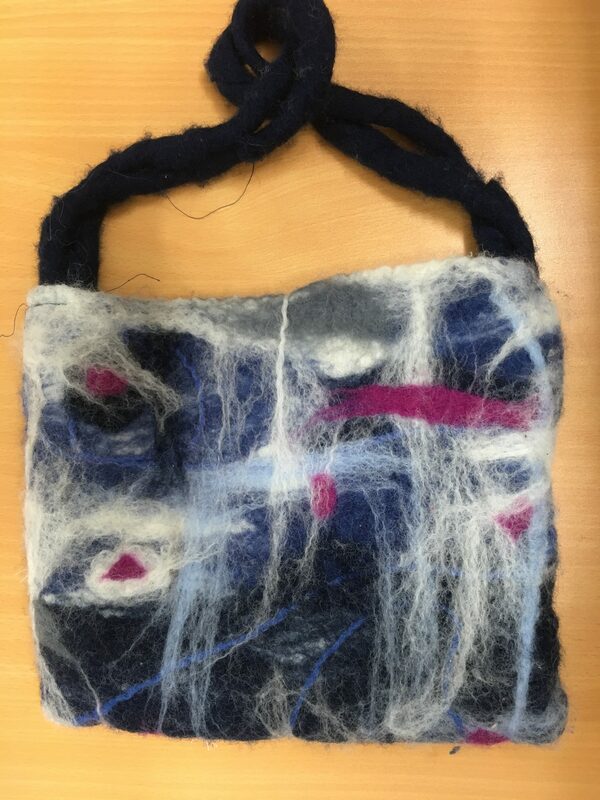 Lee did a felting course a while back and made this funky bag. 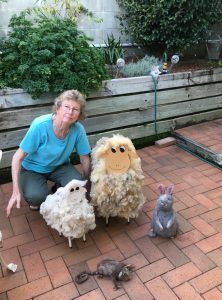 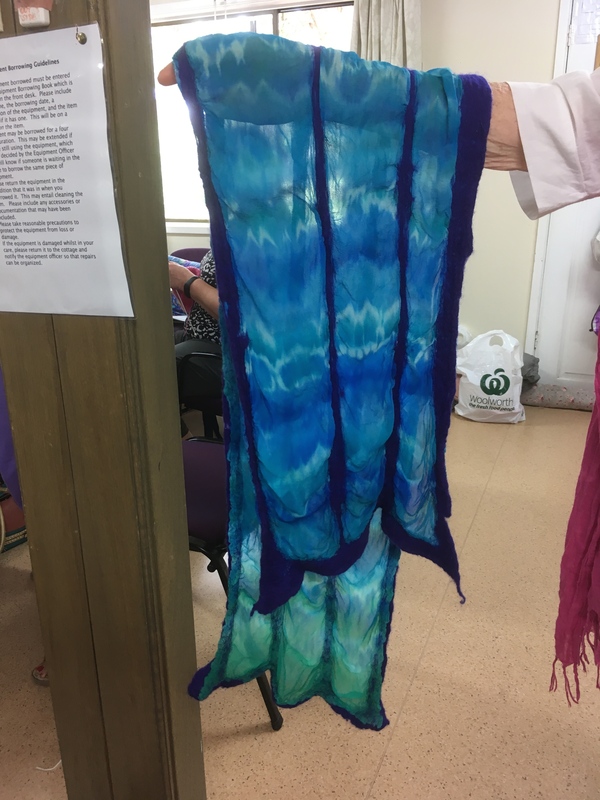 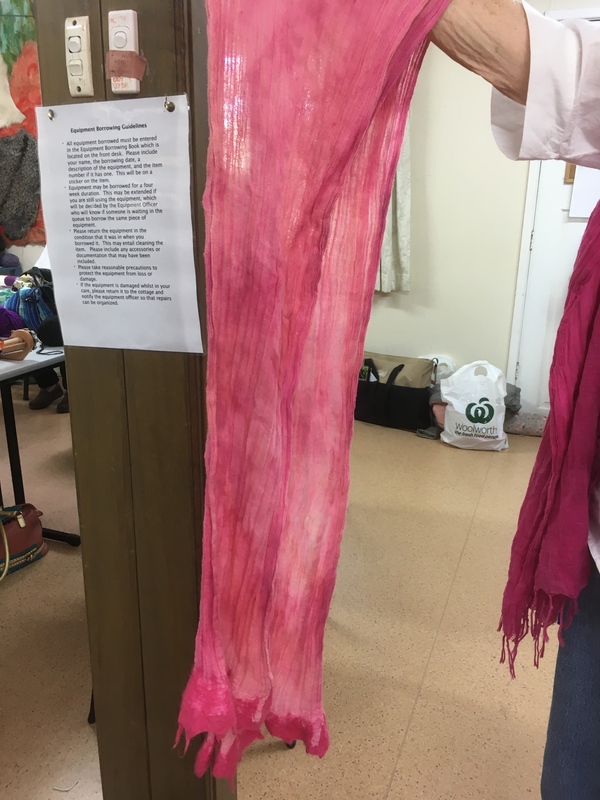 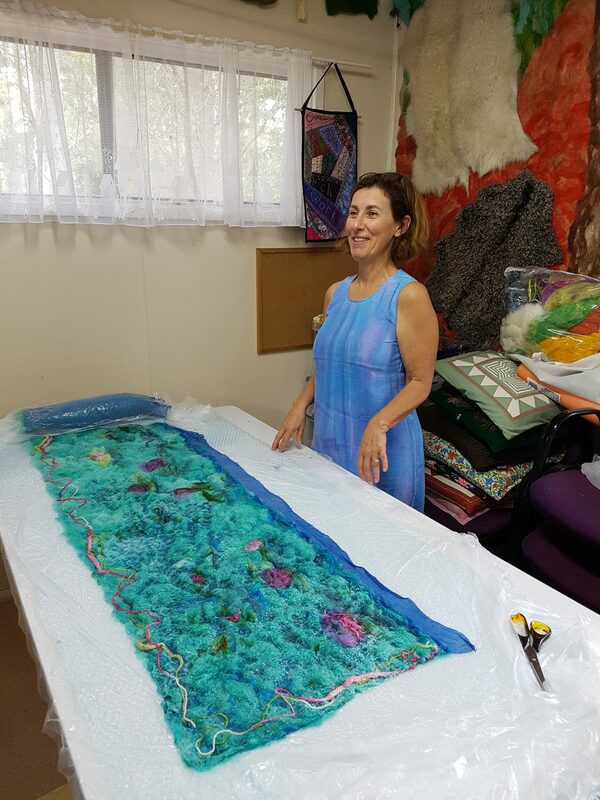 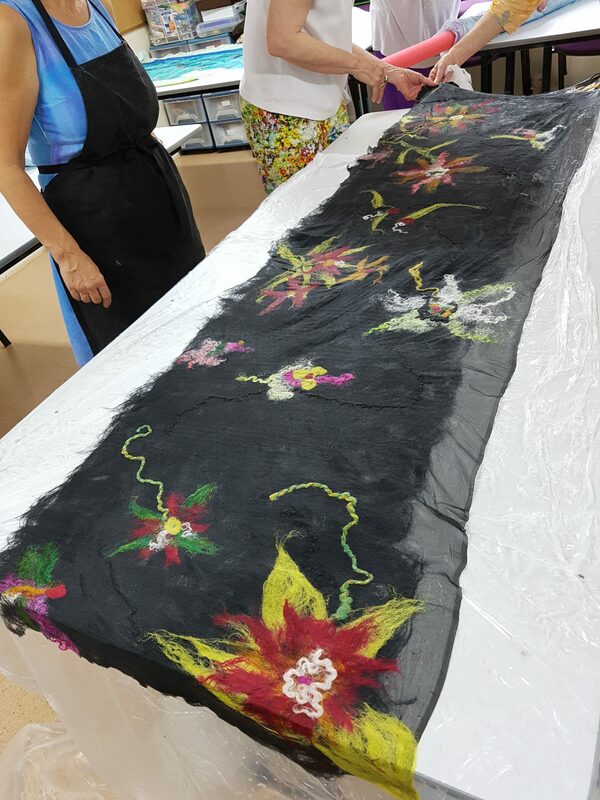 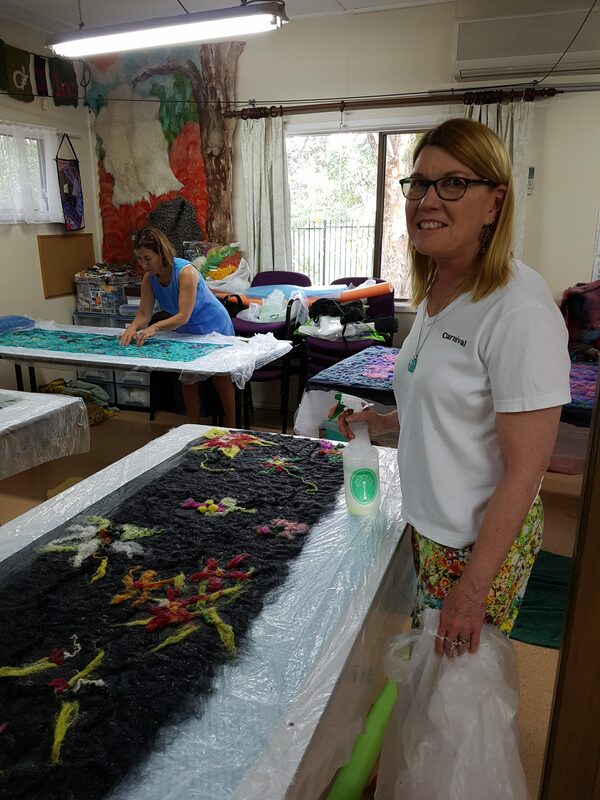 Carol brought in some of her nuno felted and hand dyed scarves and wraps to show us. 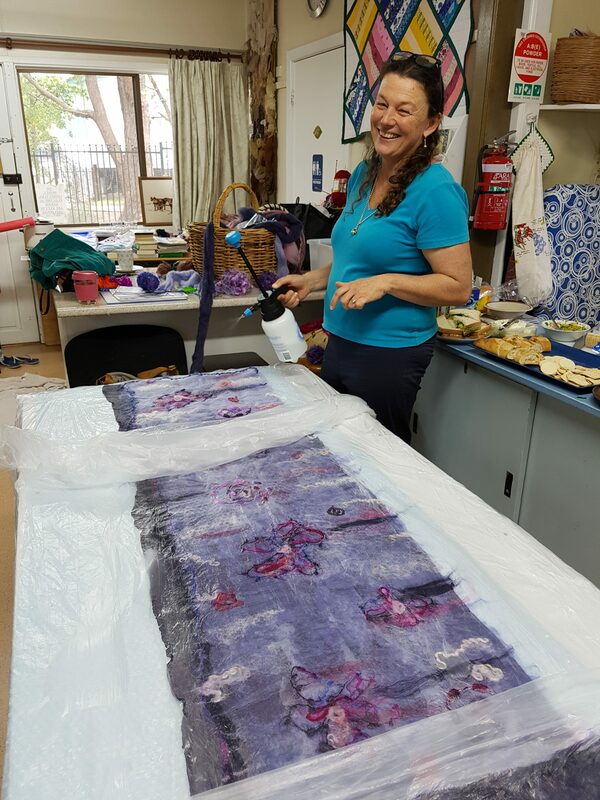 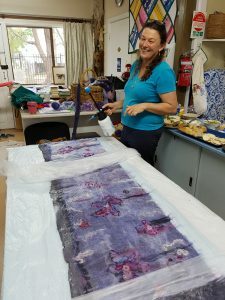 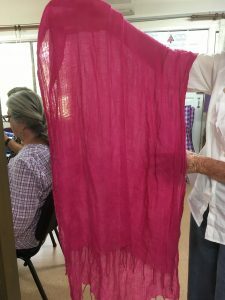 She started off using muslin, and then progressed to tissue silk. 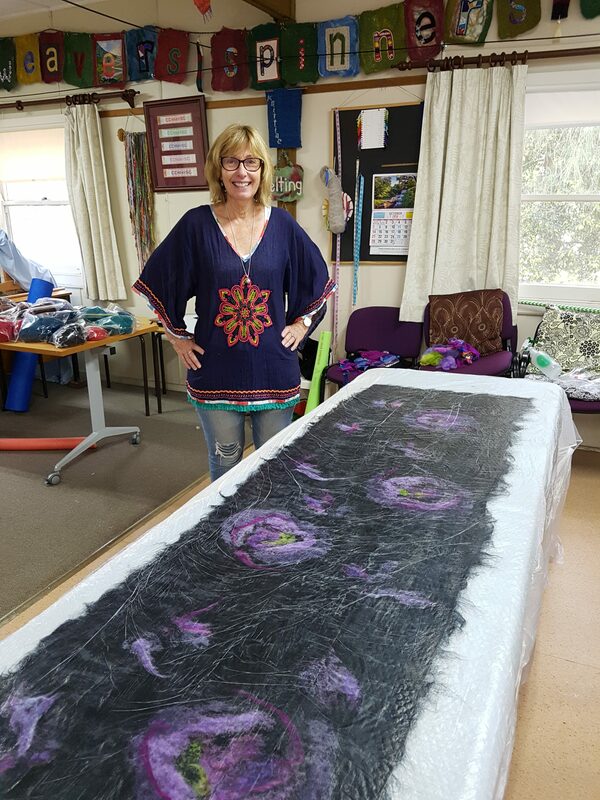 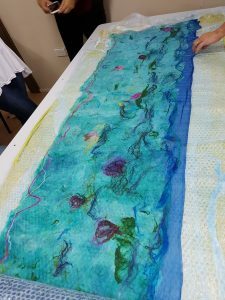 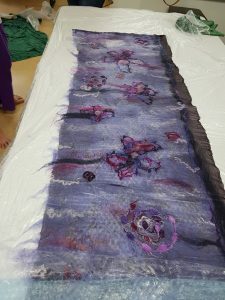 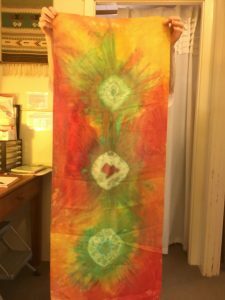 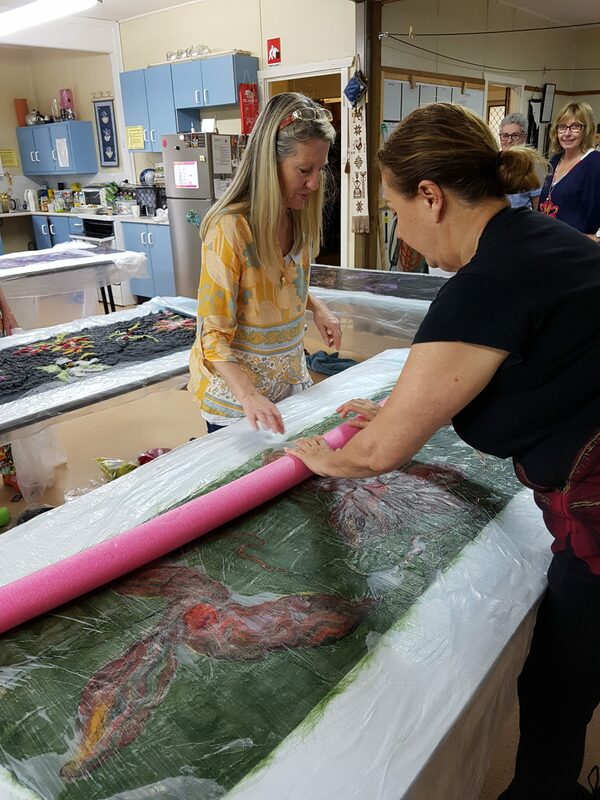 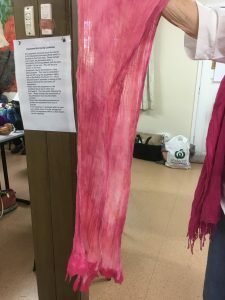 The one below was her first experience with silk painting. Four lovely pieces, Carol. 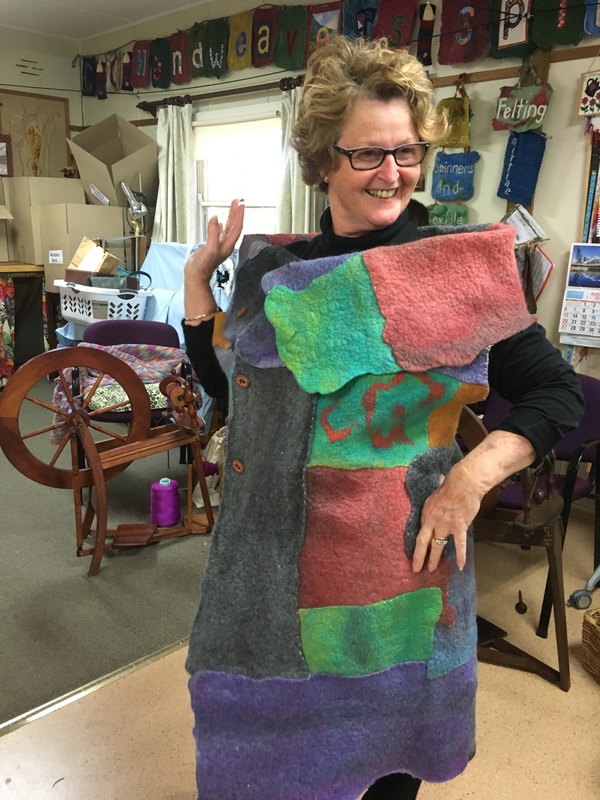 Lyn loves to recycle her beautiful handmade items by turning them into something else. This piece was originally a blanket, but is now an amazing jacket fit for the runway. 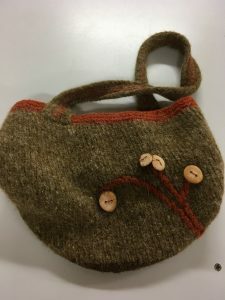 Lyn felts these sweet little pouches and puts a pair of mini scissors in each one. They make great gifts.